A research team, led by GIA’s Evan Smith, has made a significant breakthrough in understanding how the biggest and rarest diamonds are born of deep-lying metallic liquid, says Rapaport. 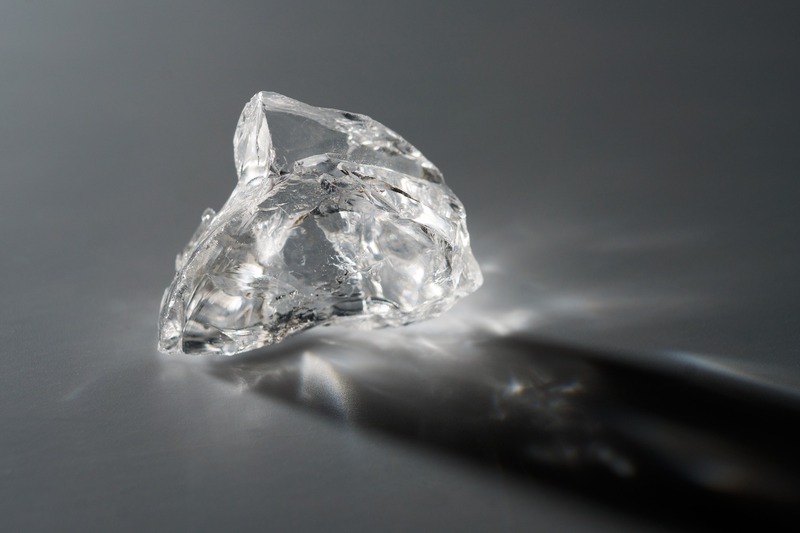 “Some of the world’s largest and most valuable diamonds, like the Cullinan or Lesotho Promise, exhibit a distinct set of physical characteristics that have led many to regard them as separate from other, more common diamonds. However, exactly how these diamonds form and what they tell us about the Earth has remained a mystery until now,” explains Dr. Wuyi Wang, GIA’s director of research and development, and co-author of the study. During the cutting and polishing stages of a diamond, the inclusions are often times polished away to enhance the gem with a minimal presence of flaws. The researchers studied the offcuts from the largest and rarest diamonds where they discovered that these gems have small metallic inclusions – or internal characteristics – trapped within them. These inclusions coexist with traces of fluid methane and hydrogen. This led to the conclusion that larger diamonds of such excellent quality are essentially pure carbon crystalized from liquid metal, wrote Rapaport. “The existence of this metal mixture has broad implications for our understanding of deep Earth processes,” Smith said. Additionally, these mineral inclusions are formed at extreme depths, likely within 360–750 km, as opposed to other gems which form at depths of 150–200 km. “This result provides a direct link between diamond formation and deep mantle conditions, addressing a key goal of the Deep Carbon Observatory,” said DCO Executive Director and Carnegie scientist Robert Hazen.